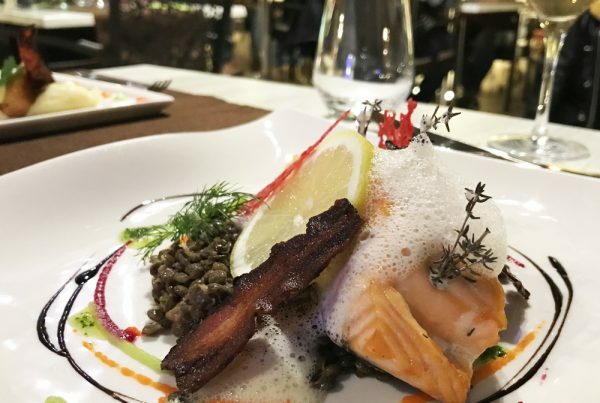 Last weekend, Chéri and I were looking for an uncomplicated dinner in the centre of Béziers. 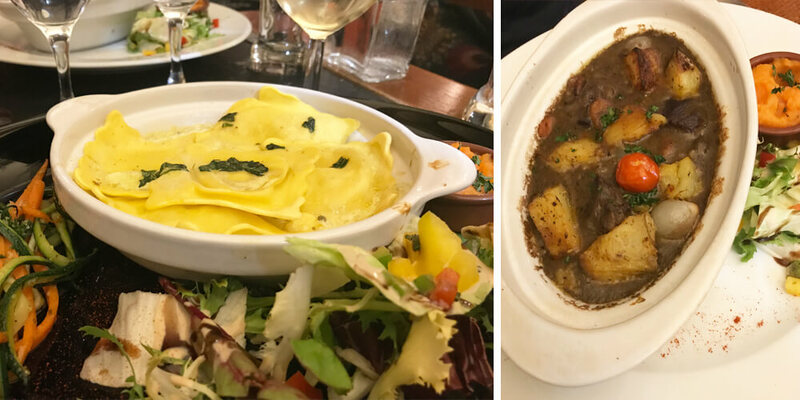 I wanted to try something new – how surprising – so I decided we’d go to the restaurant Le Massilia. 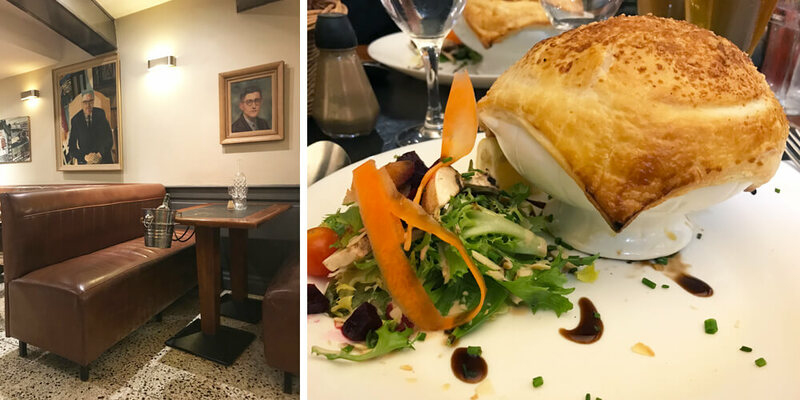 When we got there, I realised I had passed this restaurant numerous times without ever noticing that it’s one of the most authentic and friendly restaurants in Béziers! 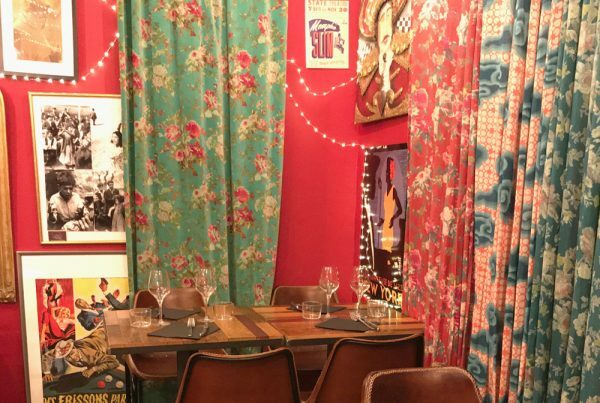 Le Massilia knows how to make you feel at home. When Chéri and I entered the cosily decorated restaurant, the owner welcomed us like old friends (although we had never been here before). As usual, we opted for the menu (25 euros excluding drinks). I spotted some interesting looking dishes on our neighbouring tables, and I managed to figure out which ones they were on the menu. So Chéri and I both enjoyed a “Montgolfière de Gambas et sa Bisque”, which presented itself as a fish soup with gambas and a puff-pastry ‘hot-air balloon’ topping. Normally I’m not really into fish soup, but this was delicious! 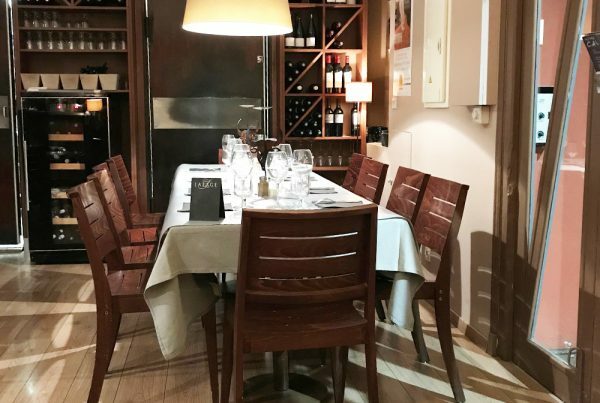 Le Massilia serves traditional French cuisine in a cosy bistro style. For main, Chéri chose the French classic “Boeuf Bourguignon”, accompanied with a glass of local red wine. As I can’t resist any dish that has a dash of truffles in it, I went for the ravioli with white truffles in a lovely basil sauce. Both simple, but both spot on. Last, but certainly not least, the dessert. Here also, Chéri couldn’t resist the famous French tarte Tatin. Served with a scoop of vanilla ice cream, of course. 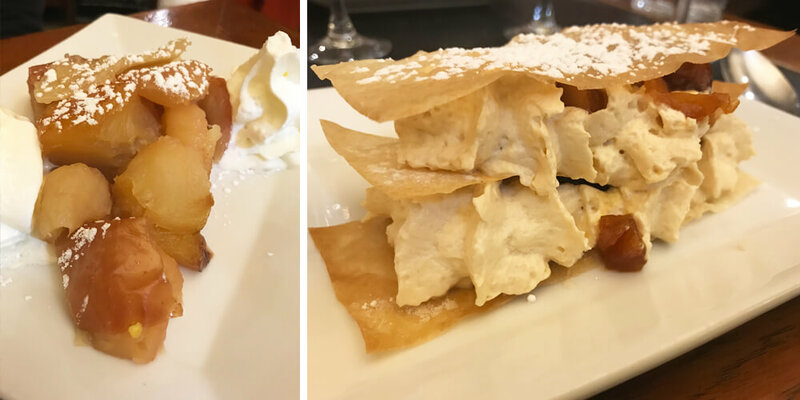 I was a bit more adventurous and chose a mille-feuille made with a gorgeous speculoos cream and caramelised apples. Overall, the food was delicious, the service was excellent, and the company was great (as always). Unexpectedly, we had chosen a restaurant that might become a new favourite! 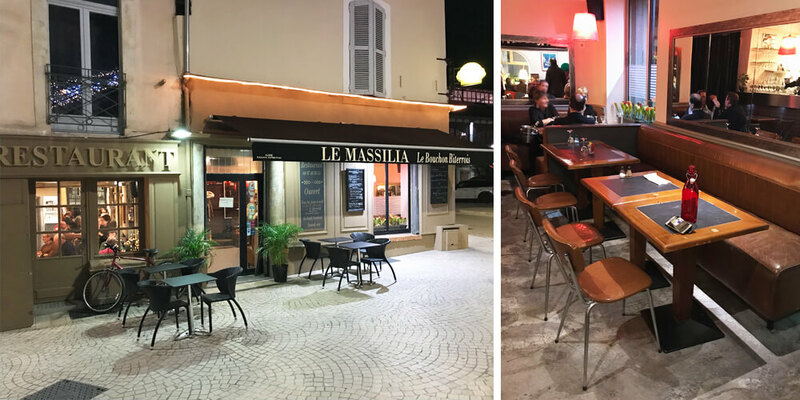 Le Massilia is a cosy, local restaurant, situated next to Les Halles in Béziers. 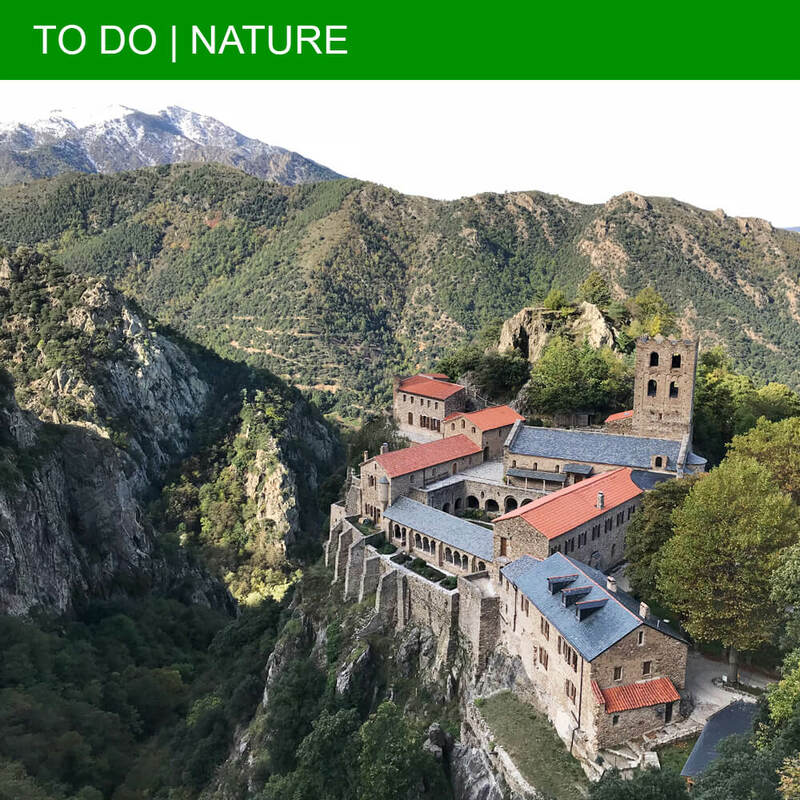 As it is popular all year round, it is wise to make a reservation to be sure to get a table. They serve set-menus, both for lunch and dinner, including some great local wines. The closest paid parking lot is at Parking Les Halles 1/de la Madeleine on Place de la Madeleine.